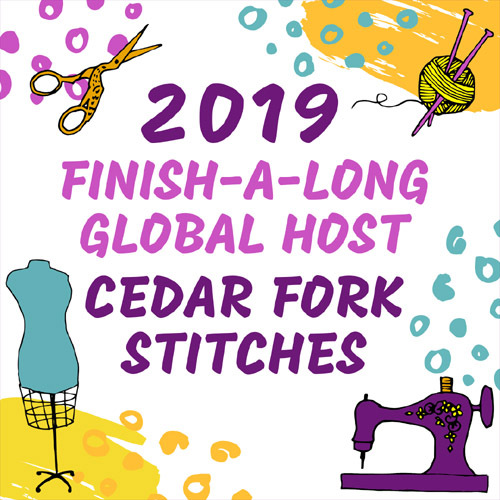 Cedar Fork Stitches: Q1 Finish-A-Long List! A fresh year begins with a fresh list! So here is my Q1 list for the 2019 Finish-A-Long! The link up for this quarter is open now, through Friday, January 18! This is for a baby arriving in late February, and all the blocks are pieced, and the rows assembled. So I think I am pretty well on track to get this finished in time for baby! This was to be my personal BOM for 2018, and I had pretty good momentum, until that Year of Fabric quilt budged in line! All my Flying Geese units are completed, and layout has been determined, so I just have to take it from there! 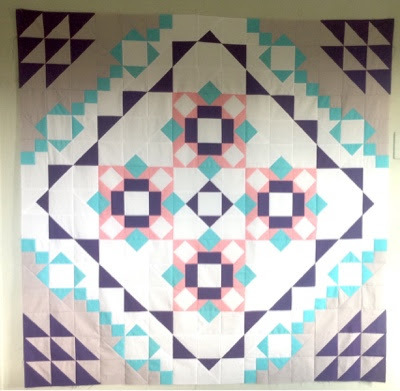 This Tucker Prairie medallion quilt began as my 2016 BOM, but got backseated due to lack of direction. It sprang spontaneously back to life right before hunting season last year, so I want to keep the momentum going and get this finished up! I have procured a wonderful backing (1" Carolina gingham in Coral) and that awesome Hazelwood geometric for the binding! Ready, set, go! The Level Two Tote pattern is available in Krista's Etsy shop, here. I also found it available here, at Fabric Spark! This one is for my wonderful Mama, whose birthday is in March...how is that for good timing! This time using 2 mini charm packs of Saturday Morning, by Basic Grey. I have so enjoyed my "reversible" pillow, I just have to make another! You may see more about my first LotL pillow here! I really need to get my rear in gear on these! I have finished 1, with 4 more to go...If I managed 1 per quarter, they would be DONE! 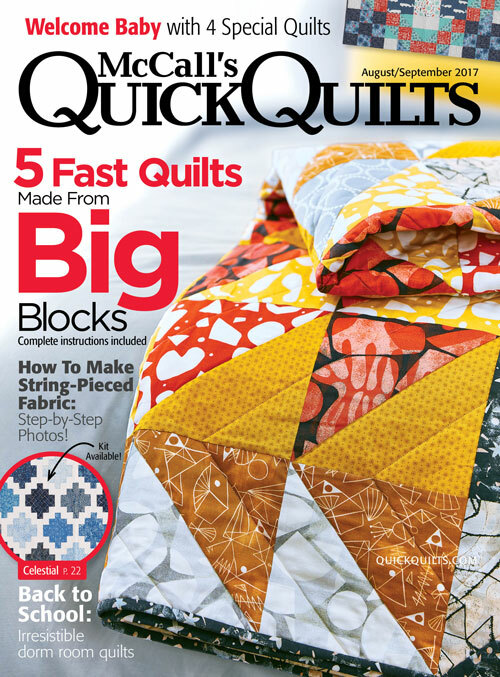 I am making 5 small quilts out of the 20 blocks I received, made by my Great Grandmother. and another to match the tote I am making for my Mom...see item 4., above! I was very inspired by a recent finish of this design on IG I saw the other day, so I am including it, just on the outside chance I get the chance to dig it out! I really love this one, the deep purple and salmon pink based on my hanging basket of petunias that Summer! That is it for me this quarter! I feel certain that I will make at least 1, maybe 2 beautiful starts on things that have been percolating for awhile now. But I don't anticipate a finish, so they will keep until next quarter! Linking up with the Q1 Linkup HERE!